Planning a day trip or holiday can take a great deal of time and effort if you’re disabled. You need to be sure that it’ll be accessible for you, to avoid stress and disappointment. So, to help you plan ahead for when there is a little less wind and rain, we’ve teamed up with AccessAble to bring you a list of 10 cities from across the UK that are accessible for people with a wide range of disabilities. A city break is a perfect opportunity to get away and explore somewhere new. From cultural attractions, such as museums and galleries, to discovering a new restaurant or buzzing bar. Or you might simply want to indulge in some retail therapy and people watching from an artisan cafe, taking the opportunity to recharge and unwind. But what if you have accessibility needs? How can you be confident that you’ll find somewhere to stay and places to visit that will be accessible to you? Maybe you need step-free access, ramps and lifts. Or you could be searching for venues that have a hearing loop and staff trained in sign language. If you have a visual impairment you might be interested in restaurants that have menus in Braille, large print or audio formats. Even something as simple as knowing the distance from the car park to the entrance of a building, or what the lighting and noise levels will be like. Our list of 10 accessible cities is here to help you be prepared – and therefore enjoy a stress-free holiday. All the information is from our AccessAble website, where our detailed access guides tell you everything about a venue’s access. They are all 100% facts, figures and photographs, from the organisations we work with and disabled people who have been there. We also send trained AccessAble surveyors to check out every single place in person to verify the information. For each city, we have added links to the main areas we’ve talked about so that you can check each will cater to your specific needs. We’ve also included full access guides to attractions, hotels and B&Bs, restaurants and pubs/bars, so you can see everything the cities have to offer. Belfast has award-winning bars, clubs, restaurants, theatres and galleries. You take city tours on foot or by taxi, bus or boat, many of which are accessible. Learn about the rich history and tradition of Belfast’s shipbuilding heritage in the Titanic Quarter, which has surfaced paths throughout. It’s where the world’s most famous ship was built more than 100 years ago and includes a museum, with level access at the entrances and lifts inside. It is also equipped with a fixed hearing loop. You can also indulge in some retail therapy at Victoria Square, a pedestrianised area that houses more than 70 shops and restaurants. There is level access to the square and lifts to different levels, plus an accessible toilet. It also has lovely panoramic views across the city. For nightlife, head to the buzz of the Cathedral Quarter, which has a mixture of bars, restaurants, theatre and live music. There are surfaced pavements throughout the quarter, some easy and moderate slopes and dropped curbs with tactile paving. Birmingham attracts a vast number of visitors to its various attractions, shopping, entertainment and leisure facilities. It’s one of the UK’s top shopping destinations, with luxury brands, independent boutiques, and the world-famous Jewellery Quarter. The Museum of the Jewellery Quarter has some great exhibitions too, with concessions for disabled visitors and accessible toilets. There isn’t level access at the front, but there is a ramp at a side entrance. You can also indulge in all things chocolate at Cadbury World, a real-life chocolate factory telling the story of the history of cocoa and the Cadbury family. The exhibits at Cadbury World can be audio described, and video tours are available. 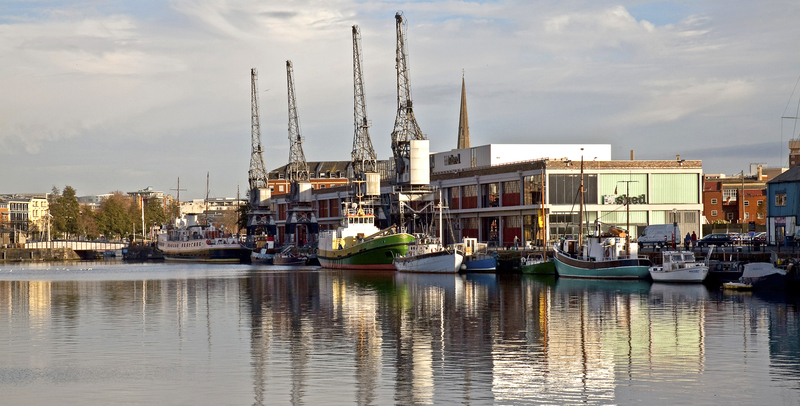 Lively yet laid-back, Bristol blends its rich maritime heritage with an innovative, dynamic culture, making it one of the most cosmopolitan centres outside London. For a bit of history, visit Bristol Cathedral, which has level access at the front entrance, but not everywhere inside. It does have a fixed hearing loop. Next door is the Bristol Aquarium, with slopes and a number of accessible toilets. 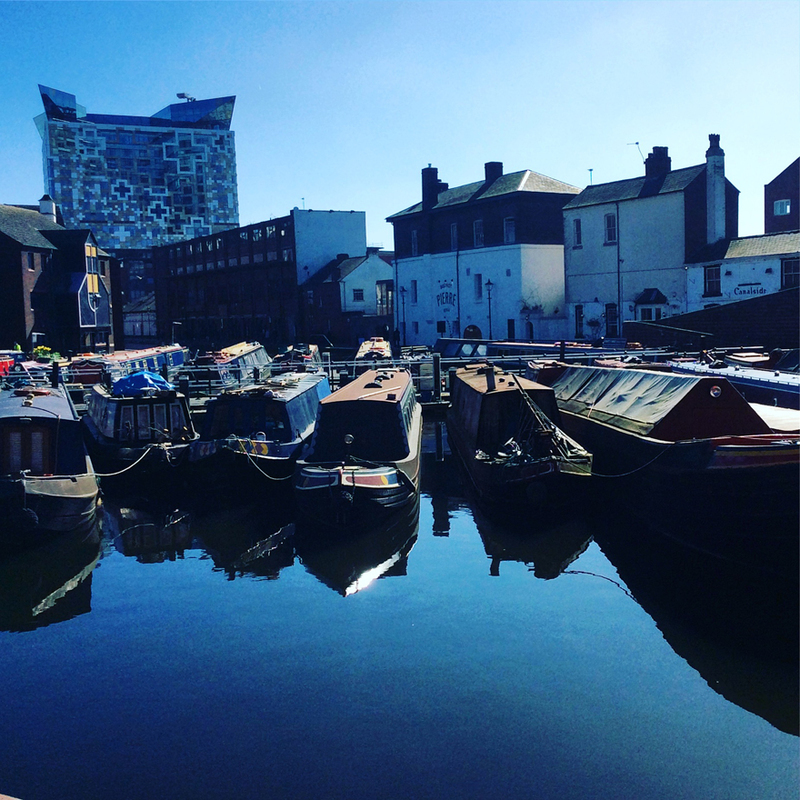 Bristol boasts an exciting line-up of entertainment and is host to a wide range of diverse and eclectic festivals throughout the seasons, including the annual Harbour festival and Bristol Pride. Exceptional places to eat and drink are a highlight of Bristol. Globally-inspired street food can be found in St Nicholas Market, which has various level access areas and slopes, as well as an accessible toilet. In 2017, Chester was the first British city to win the coveted European Access City Award. It’s a classic, contemporary city bursting with must-see treasures, 2,000 years of history and spectacular shopping. With a great choice of shops, bars, cafes and restaurants, all within easy walking distance, you will discover Chester has plenty of things to do in the heart of the city. Chester’s Cathedral, the majority of which is accessible, is worth also visiting. 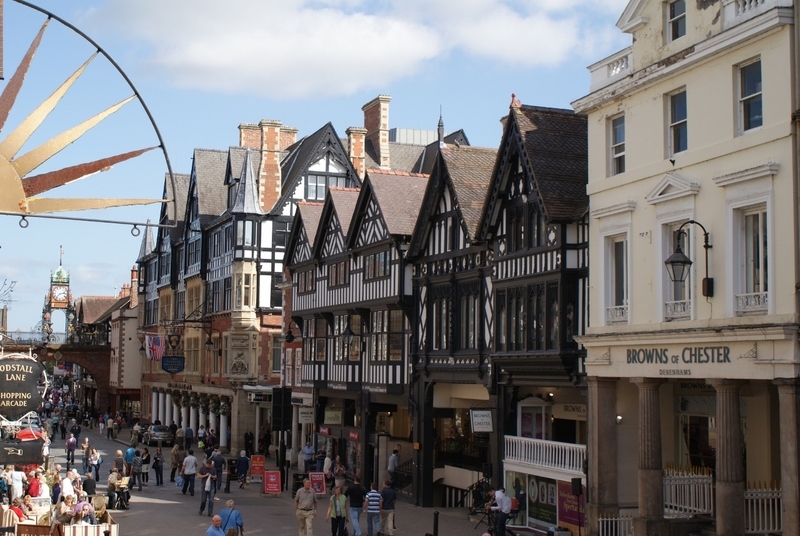 Shopping in Chester is not only a great way to indulge in retail therapy, but it’s also a chance to get amongst the history of the cobbled streets, quirky lanes and the famous medieval galleried two-tiered rows. Scotland’s largest city is a lively, bustling place, distinctive and full of character. The city is the second largest retail city in the UK after London, and the commercial capital of Scotland. It’s main areas have plenty of level, pedestrianised areas, so are easy to get around if you use a wheelchair or have mobility problems. Glasgow has a wide range of places to visit to suit every taste, including an array of museums – such as the Glasgow Science Centre, which has level access throughout and an accessible cafe – and art galleries, such as the equally accessible Gallery of Modern Art. There is also a first-class leisure and shopping facilities, restaurants to suit every taste and pocket, spectacular architecture and much more. Glasgow is known the world over as ‘the friendly city’ and also as ‘Scotland with Style’. 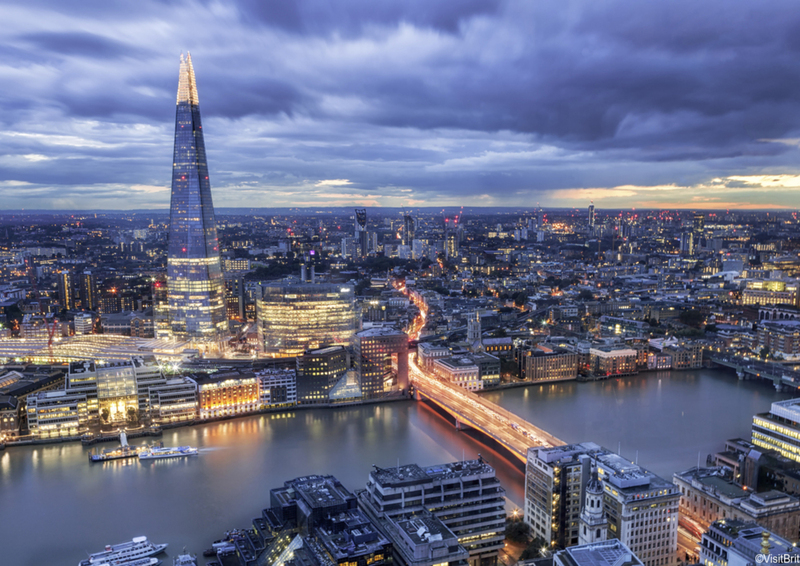 The UK’s capital city has something for everyone. Museums and galleries, sightseeing tours, theatre shows, bars, restaurants, and nightlife. From Greenwich with its pretty royal park (which has tarmac paths throughout) and the fully accessible O2 arena, to the East End Markets and the Tower of London, which has audio guides and Braille signage. Southwark’s cultural gems include the Tate Modern, which has wheelchairs and electric scooters for visitors to borrow, and the Shakespeare’s Globe Exhibition. The Globe has a dedicated Access Information Line offering advice on specialised services for disabled people at Shakespeare’s Globe, including touch tours, signed, audio-described and captioned performances as well as relaxed performances. On the outer fringes of London, Bexley has more than 100 parks and open spaces to explore. Newcastle, once an industrious shipbuilding city, is now most famous for its nightlife scene, from nightclubs to premium restaurants that serve food from all over the world. 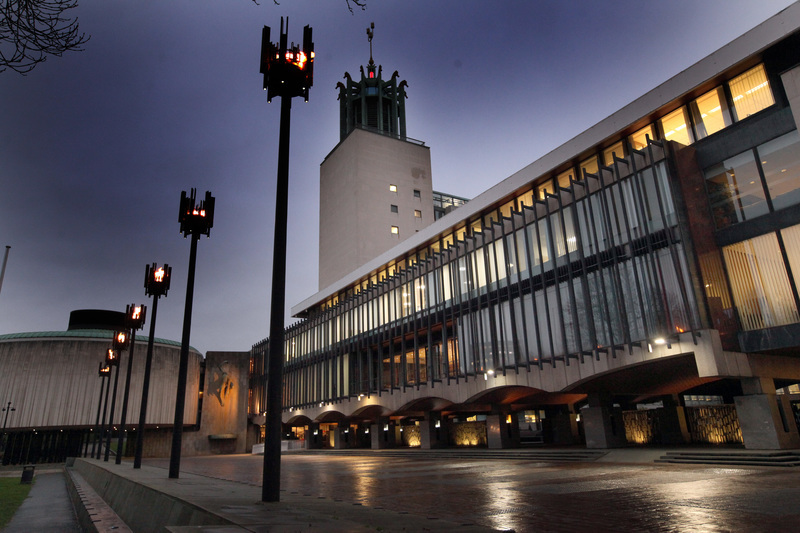 The University is at the heart of the city – Newcastle has a population of 42,000 students. Cultural offerings include a concert hall, which has a dedicated accessible entrance, and excellent art galleries, including the accessible Baltic Centre for Contemporary Arts, with level access, lifts throughout and accessible toilets. Accessible boutique hotels around the city welcome visitors seeking a sophisticated city break. Vibrant and full of character, it’s the perfect place to spend a weekend. With so many different areas each offering new sights, sounds and experiences, you’ll be amazed at how much is on offer. Plymouth has a rich maritime heritage and is the regional capital for culture, named Britain’s Ocean City. The coastline is dotted with stunning beaches and romantic hidden coves, perfect for exploring. Tourist attractions, such as the National Marine Aquarium, which has slopes inside and motorised scooters can be used, offer something for everyone. Many of the seafront attractions can be accessed by road or boat, many of which are accessible. The city centre has great shopping and many dining options. There are also all-weather attractions, such as the Barbican – which has a theatre with dedicated wheelchair spaces and a hearing loop – mean Plymouth can be a year-round destination. And just on the edge of Plymouth is one of Britain’s largest national parks – Dartmoor. 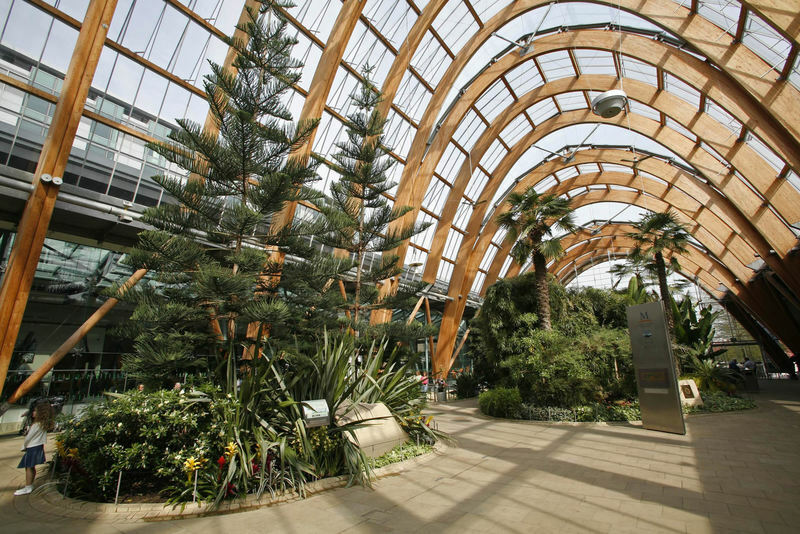 Known the world over as The Steel City, Sheffield was famed for its industry in the heyday of the 1900s and remains a city of innovation to this day. However, the smoking chimneystacks are no more, but instead, you’ll find a green, modern cityscape, with a number of parks and gardens. This includes Crookes Valley Park, which has slopes, tarmac paths and an accessible toilet. And if the green spaces within Shefield aren’t enough, it’s also set against the stunning backdrop of the Peak District National Park. The city has a friendly, independent and alternative spirit, alongside a thriving cultural scene boasting award-winning theatre – including the Lyceum, which has a dedicated accessible seating area with a very good view. It also has an eclectic mix of music, festivals, street art and so much more. York is one of England’s finest and most beautiful historic cities. The city has a mixture of Medieval, Georgian and Victorian streets and buildings that support today’s shops, restaurants, pubs, leisure facilities and festivals. It has so many places to explore. One of England’s finest historic houses, Castle Howard is set in a thousand acres of sweeping parkland dotted with statues, temples, lakes and fountains. The house has ramped access and automatic doors. York’s long history and rich heritage are woven into virtually every brick and beam, and the modern, tourist-oriented city is a carefully maintained heir to that heritage. If you’re heading to any of these cities, why not download the AccessAble App from the Apple Store or Google Play Store. If you have any questions or feedback for AccessAble, you can email hello@AccessAble.co.uk.